I finally got my order of the Alpocalypse album in the mail yesterday, just in time before I go on vacation this Saturday. Yes, that’s correct. The king of parody has finally released a full-length album. And I bought the hard-copy (something I rarely do). First off, I was a little bit disappointed, but that had more to do with the fact that 5 of the album’s 12 tracks were also on his “Internet Leaks” EP album (only released digitally), which I already bought on iTunes when it came out. Plus, since the album included a DVD with music videos, I didn’t find the newly released video for Perform This Way on the list. I haven’t seen the DVD quite yet, but that missing video could probably have been expected, given that the video wasn’t released that long ago. It can still be found on YouTube, though, so I shouldn’t be complaining. 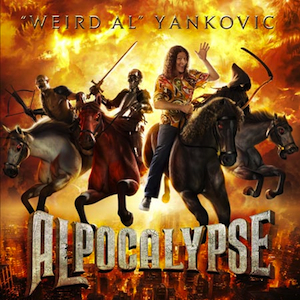 Anyway, back to the rest of the album, I can say that quality-wise, it matches up with Weird Al’s usual standard found throughout his career. He certainly proves he’s still alive, still kickin’, and still keeps me smiling from the lyrics. And in good Weird Al tradition, a polka medley of recently charting tunes, called “Polka Face” (yes, a wordplay on Lady Gaga’s “Poker Face”). Aside from his previously released EP tracks, there are a few tracks that stand out. “Party in the CIA” was quite the kickin’ surprise (my expectations were set low due to the original track – “Party in the USA” by Miley Cyrus”), and I can only imagine the song being used as an unofficial theme song within the CIA – or at least I bet someone working there gets a laugh and a kick out of it. Another fun one was “TMZ”, which deals with the topic paparazzis in general, not just the ones working for celebrity news website TMZ, and the lengths they go to just to get an “off” image of a celebrity in their natural habitat (you know, “real life”). Of the EP tracks, my absolute favorite has to be “Skipper Dan”, mainly because it was released shortly after my previous vacation to the USA two years ago, where I actually went on the Jungle Cruise ride at Disney World (and a similar ride at Universal Studios). I recognized every bit from my ride experience, and that’s when humor really strikes best – the element of recognition. If I include my initial memory of the EP tracks into this album (and not my disappointment of not having too many new tracks), I’d say this is a great album, on par with Weird Al’s previous work. This album starts off real nice and slow, and changes the pace in a good rhythm as it progresses through the entire album. All in all, a good album to sit down and listen to if you have an hour for yourself, or just want to relax (but not too much). I actually listened to this album when I had been going with about 3 hours of sleep over a period of 24 hours. Even though it’s mainly slow-paced, it really kept me awake with soothing electronic rhythms. You’re better off listening to this CD in one sitting, but the songs are also good on their own. It’s so well put together that you get a good music experience from listening to the album from beginning to end, or even a single song for the times when you have less time to yourself. This is more the type of music you’d want to put headphones on, crank up the volume and sit back and enjoy. You don’t really want to share, you just want the experience to yourself, if you know what I mean. 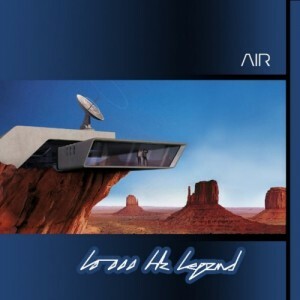 Air is a band from France, and you can clearly hear their French accents piercing through the spoken and sung words is a wonderful and strangely poetic way. The computer speech engine style heard on “How Does This Make You Feel?” is also fitting. I don’t know if they actually ran those words through a speech engine (such as Microsoft Speech), or if they ran their own voices through a whole lot of filters to make it sound that way. 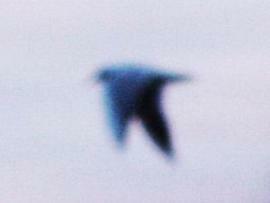 In any case, it’s amazing what spoken words in that way can do to the poetry of a song. Truly an album worth having in your CD collection. The 80’s brought us some wonderful things. The Rubix Cube, MTV, and the Safety Dance, just to name a few. Most signifigantly out of all of these, however, is Depeche Mode, a glorious British techno group. Their 1990 album, Violator, is not only a great LP, but a relaxation method as well. With songs like “Sweetest Perfection” and “Policy of Truth”, it’s no wonder Violator soon became a hit. 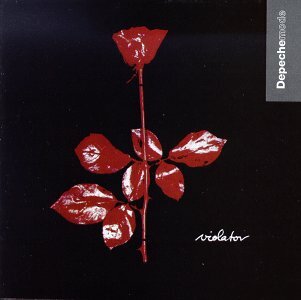 Considered by many to be their best album, Violator tickles the fancy of many a listener. The melodic beats and soothing words please the very soul. Advised to buy the album buy my dear friend meatie (ErrorFM), I skeptically took a chance and came out on top. A relaxing alternative pop tune I expect to see soon on any chart. I couldn’t call it rock, or even pop (and there’s a lot of music that falls into that genre). I’d call it alternative pop, or something on the half-way to pop. Another one of those songs you like, but you can’t really put a genre to it. With good and meaningful lyrics, paired with a good sound production, good balance of instruments and all in all, a great arrangment, it’s also a tune I expect to be a part of the soundtrack of any major teen movie in the very near future. It has great potential for popularity, even if the band was unsigned at the time (actually, I have a feeling that will happen at any moment). Based in Dallas, Texas, Stride consists of Shane Hebert (drums, piano, guitar, vocals), Chad Whitestevens (lead vocals), Mike Cockerham (bass), Tyler Sehnert (lead/rhythm guitar) and Blake Helpert (lead/rhythm guitar). This song in particular was written by Shane Hebert. Personally, I now look forward to hearing this band’s debut CD.